Lieutenant Curtis Brandenburger was accidentally shot and killed when a 12-gauge shotgun he was preparing to clean fell to the floor and discharged. Another officer discovered his body in the police station on Bridgetown Pike shortly after 10:30 pm. 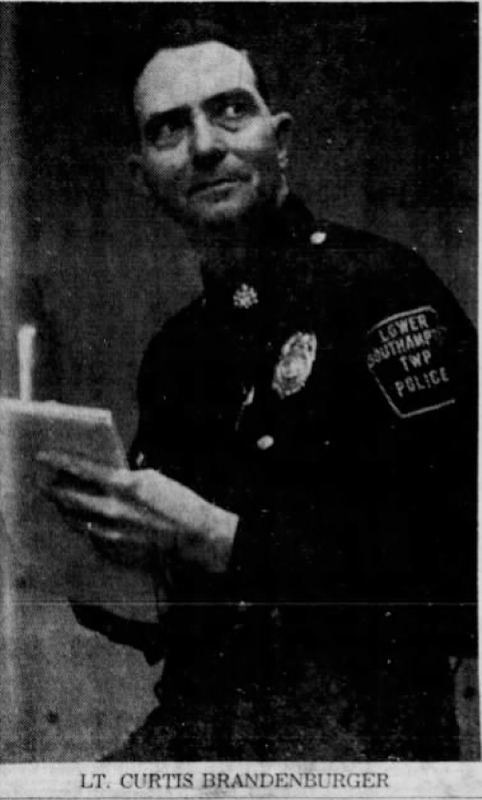 Lieutenant Brandenburger was a WWII veteran and had served with the Lower Southampton Township Police Department for eight years. He was survived by his wife, daughter, two grandchildren, brother, and sister.